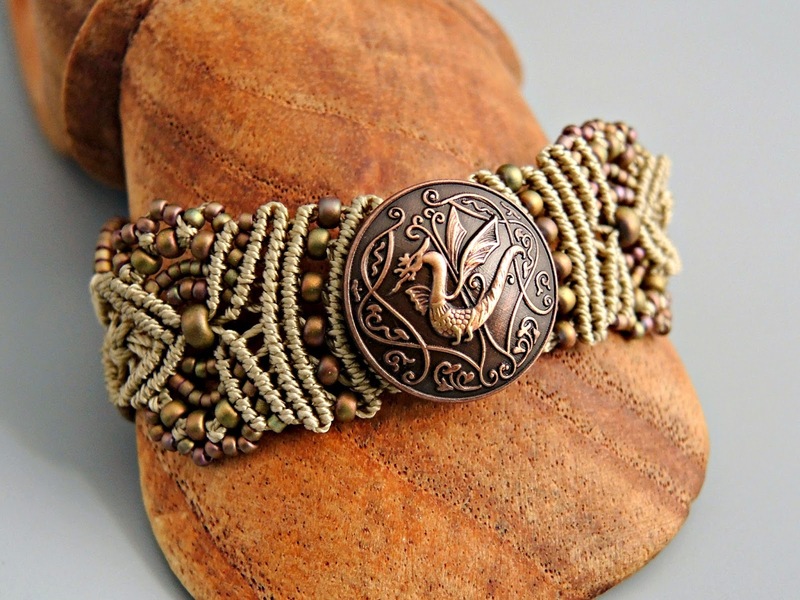 This copper button featuring a Celtic dragon design is one of my all-time favorites. I absolutely love the graceful flowing lines of this one. They made it in brass and silver as well, but the copper one just has something special - that "it" factor. 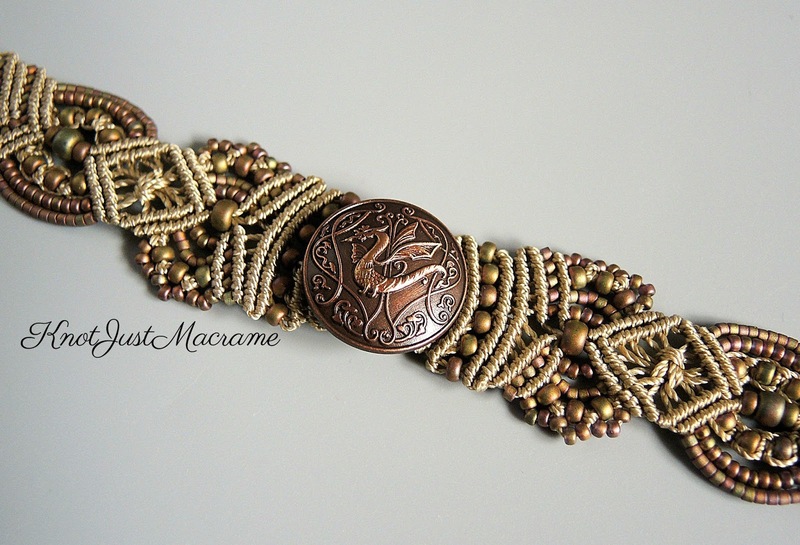 And the copper plays so well with the khaki cord and beads, don't you think? Of course, since I love every single thing about this button, it's no longer being manufactured. And a tiny little stash of copper Celtic dragon buttons. I've listed a few bracelets featuring them in my Etsy shop and now I'll put away the remainder for a while and focus on something else. And I'll keep searching for more of these. 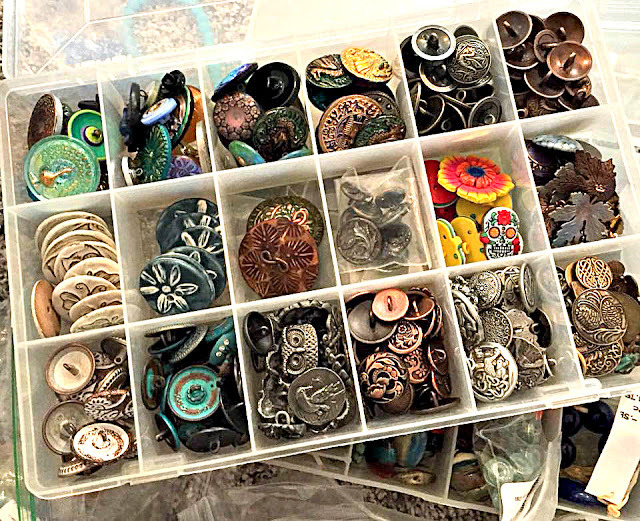 I'll bet there's a shop out there somewhere with some of them in a dusty back corner just waiting to be rediscovered. The idea of that haunts me. Or taunts me, I guess. I told you it wasn't a healthy relationship!